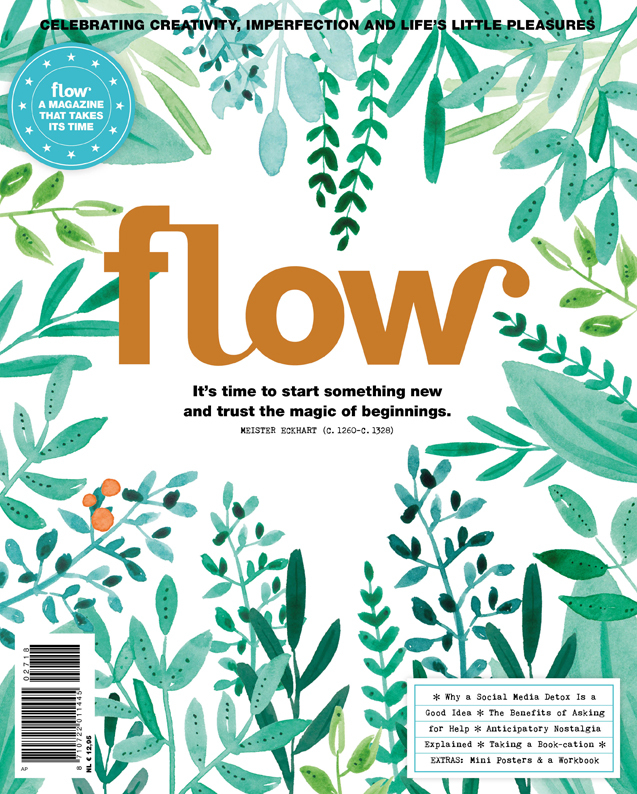 Flow is a Dutch magazine for paper lovers. Flow is all about positive psychology, crafting, mindfulness, and not being perfect. Flow helps readers to reflect in various ways on their busy yet happy lives. We do so by presenting attractive stories around the themes simplify your life, feel connected, live mindfully, and spoil yourself. Each issue is printed on a special assortment of paper and contains creative inserts, such as coloring in pictures, special notebooks, and handy calendars. Flow editor Marije van der Haar-Peters loves a good book. But she suffers from that common ailment: not enough time. Which is why she signed herself in to a reading retreat: three days of page turning bliss.Why share? Journalist Caroline Buijs delves deep into the story of colors.What are you up to? In every issue, we check in with people who are doing what they love to find out about their projects. 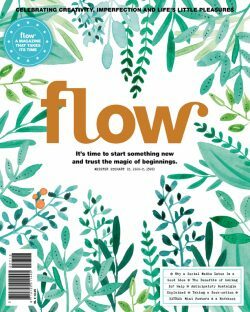 This time, we talk to a crafter, a surface designer and an ink artist.Extra goodies: mini posters and a new Flow mini course workbook.